Class Starts Tuesdays, October 2nd, 2018. The 2 day on-camera weekend workshop began in 1988 and is now taught all over the country. The classes are kept small to ensure lots of camera time per person. The participants receive individual critiques, as well as the ability to watch what their fellow classmates. This interactive observation is priceless! Everyone discovers what works and what doesn’t for an audition. Everyone is given “sides” to take home and work on, as well as, several cold readings during actual class time. You are filmed as you deliver the side. This workshop is for almost any one interested in acting. It has been proven very beneficial to stage actors who want to learn the nuances that will help them cross over into film and television. It is also for actors who have been working for years and need that extra spark that has a tendency to dwindle in time. So please, check our calendar to see when the next available workshop is being conducted! Don’t just take it from us, let our actors do the talking! As actors we must take advantage of every opportunity to learn from Lori Wyman. She knows the acting business inside and out and has so many important tips to share. She knows what directors are looking for and she knows how to communicate with actors. Just a few years after my first workshop with Lori, I auditioned to be the host of a top national children’s television show. I was one of hundreds of actors who auditioned for the role across the country. Thanks to that solid audition, I booked the job as host and went on to win an EMMY a year later. 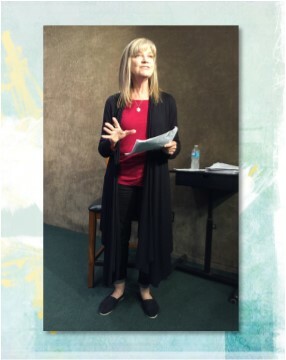 Attending Lori’s workshops has taught me valuable audition techniques which has helped me fulfill my dream of becoming a successful working actor. “After working in the corporate world for 30 years, I made a decision to follow a passion of mine and become a Television and Film actress. I immediately turned to Lori for her expertise. 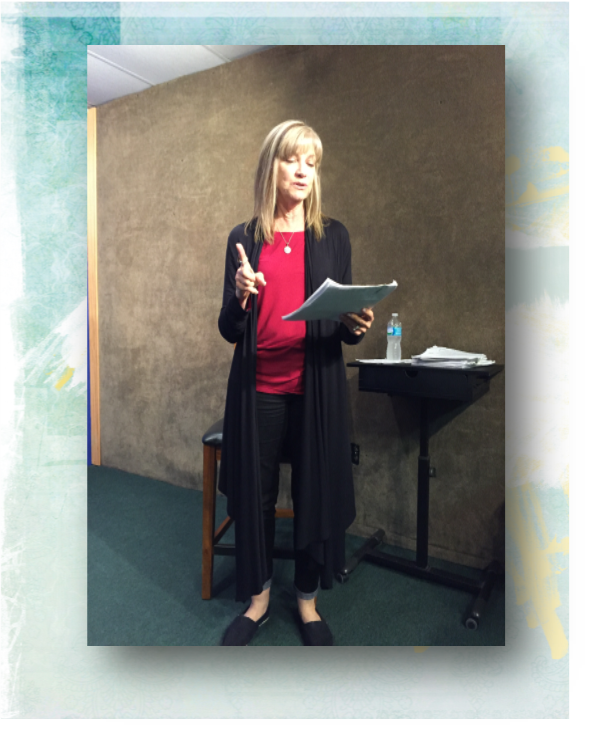 I took her TV/Film audition workshop, One Line Wonders workshop, and read her book “The Organic Actor.” Her coaching guided me to headshots, talent agents, and through the crucial “do’s and dont’s” of the industry. So what is “ONE LINE WONDERS?” you ask! Your workshop was amazing! I was truly humbled by the talent in the room and the knowledge that my journey has just begun. On my drive back to Tampa, I evaluated my experience in your workshop. Currently, I am studying scene work, and I felt your workshop would give me something completely different to work on. What an understatement! Who knew so some much went into a one-line audition? I didn’t…I came away with a renewed awareness of what it takes to nail these auditions and book the jobs. I learned so much from you and your direction as well as from the other actors in class. And that a spot-on, one-line audition can lead to bigger and better gigs. Your no-nonsense, direct approach was just what I needed. And getting in front of the camera five times in five different scenarios was priceless. This is not an easy business, and it is surely not for the faint of heart. I thought about what your Dad used to tell you about pulling yourself up by your bootstraps. Well, that’s what I’m doing today. I am going to continue studying, learning, preparing, and giving 100% to every audition. I have a couple of auditions this week and will apply everything I learned in your class. I thank you, Lori, and look forward to the day when my auditions will make you proud. so much more motivated than before to work on their acting versus maybe just me telling them to practice more. And as important to me, they are always just so inspired by you, too, when you finish your class as they believe in themselves so much more. I LOVE teaching this class and the actors LOVE taking this class. This is an ON-CAMERA class to examine how to break down ONE line. “ONE line,” you say? That doesn’t sound hard. OH YEA??? Let me tell you about 1 line. Even though you probably won’t have a difficult time memorizing just 1 line, (or will you when you factor in nerves?) you still have to learn how to turn just one little line into an entire audition. “Who wants to audition for just one line,” you ask? YOU DO!!! “WHY,” you wonder? I’ll tell you why! Can’t be THAT hard, can it? Oh yes it can. THINGS! She worked? 4 weeks! All from a ONE LINE audition! One time when I taught this class an older actress signed up. She had been around the business for years and told me she only took the class so she could be in front of me. I don’t want actors to take my classes for that reason. I want them to take the classes so they will learn something. Anyway, she called me the following week and said she had a 1 line audition for a National Television Series. She went into the audition and knew exactly what to do because she had just taken the class and was so confident and, of course, she booked it!! I love hearing stories like that. A director can tell a good actor by just one line. I have brought actors in to audition for 1 line and then the director asks that actor to look at a bigger role and audition for that. ONE LINE can tell many things about an actor. Make sure it tells them that you are good! Self Taping is the way actors are auditioning for roles these days, so don’t you want to bring your self-taping skills up to par? So, exactly what is a Self-taping workshop and what are you going to learn? 1. Do you want to watch examples of Good and Bad self-tapes to see what works and what doesn’t? 2. Do you want to get behind the camera yourself to tape your classmates so then you will know what the person who is taping you should be doing? 3. Do you want to learn about emailing techniques, compressing, uploading, sound, lighting, backdrops? 4. Do you want to know exactly what the client (casting director, producer, director) is looking for? 5. Do you want to tape and be taped to practice? This class open to TEENS 12 -17 years of age! 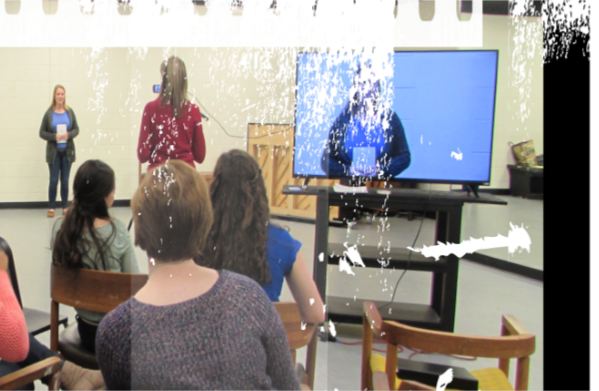 This One Day workshop can help your teen streamline their abilities in order to give their best audition ever. Not only will your teen learn a lot, they will have a lot of fun and walk leave feeling recharged and ready to be in control of their career. Lori is putting together actor weekend retreats beginning soon. Not only will you learn on camera auditioning skills, you will also explore yourself and identify your goals and work towards them. You will figure out what is holding you back and have major breakthroughs so that you will be able to accomplish anything you desire. We will be combining mind, body, and acting.